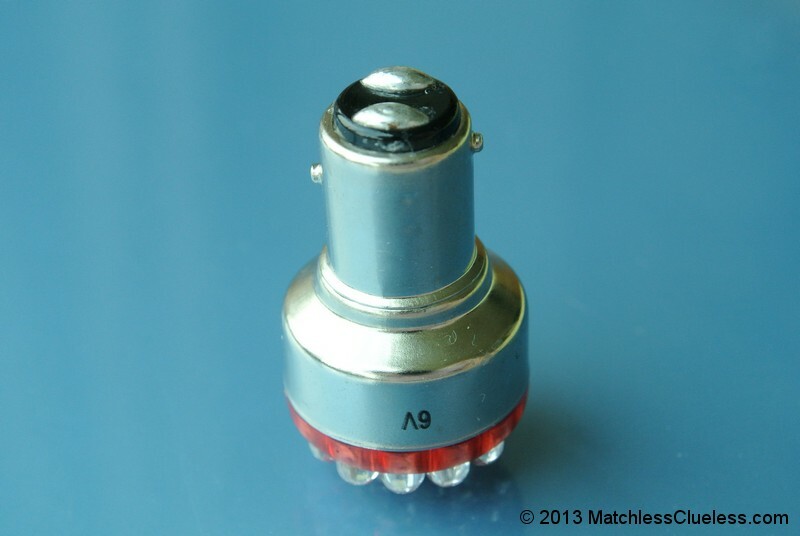 A 6 volt dual-intensity LED stop and tail light which gives superior illumination of the Lucas 529 rear lamp fitted to many classic motorcycles and cars of the 1950s and 60s. It is compatible with both positive and negative earth electrical systems and consumes only a fraction of the current of a conventional filament bulb. 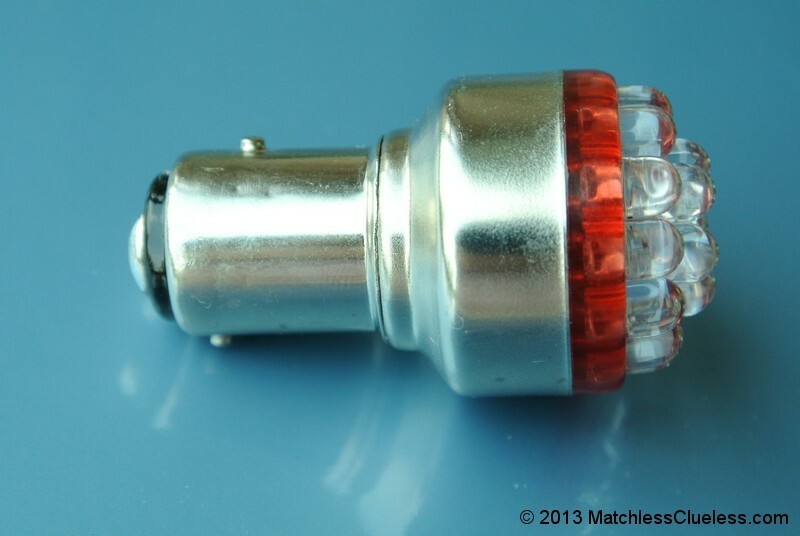 This 19 LED array is the brightest 6 volt stop and tail light unit available and provides excellent illumination of the Lucas 529 style of rear light fitted to many classic motorcycles and cars produced in the 1950s and 60s. It is compatible with both positive and negative earth electrical systems with internal circuitry to automatically adapt to the motorcycle’s polarity. It is a dual intensity lamp which means that all of the LEDs illuminate for the tail light function and then they all become even brighter when the brake is applied. This gives excellent illumination of the rear lamp with a clear difference between the tail and stop light functions. The light unit is comprised of a circular array of 19 bright LEDs. 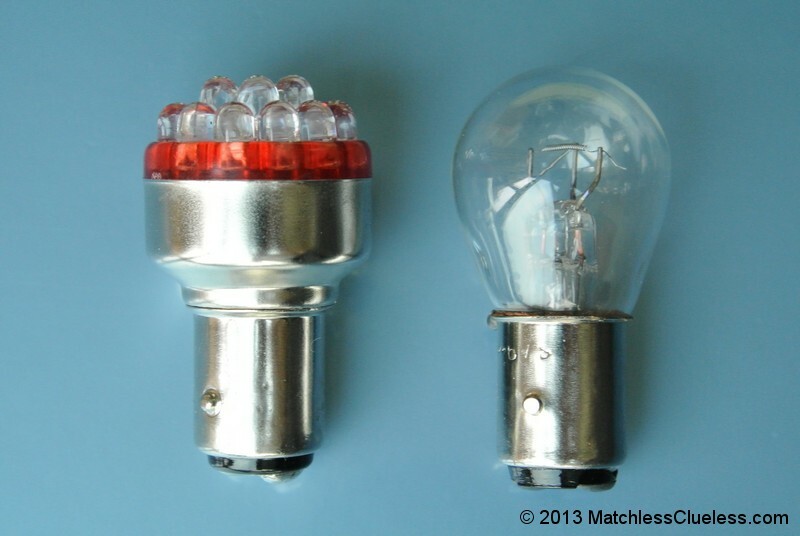 We have two different versions available – the recommended one has red LEDs and the alternative uses white LEDs. The red LED version shown on this page gives a brighter tail light which is a rich red colour, however the number plate illumination is less visible. The white LED version provides slightly better number plate illumination, however the tail light is a little less bright (as the red lens filters out some of the non-red light) and tends to make the Lucas 529 lamps look a little more pink than red. We offer both colours so you can choose which is best for your application, but we normally recommend the red LED version to get the best performance out of the L529 rear lamp. 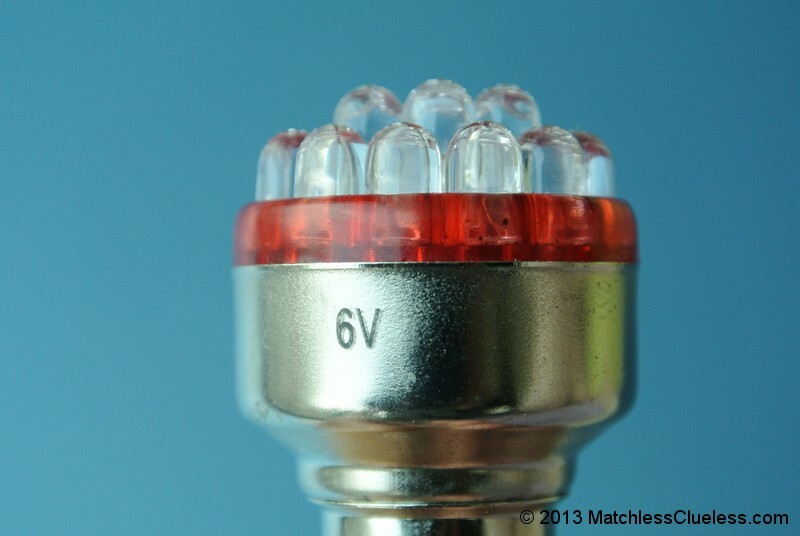 The LED has the standard BAY15D dual contact offset pin base which is sometimes also known as the 1157 fitment. It has been tried and tested installed inside a Lucas 529 rear lamp and has been found to fit perfectly. The large circular array of LEDs gives excellent visibility of the stop and tail light functions which is as good, if not actually a little better, than the standard filament bulb. The above current and power consumption figures are taken from actual measurements at a supply voltage of 6.4 volts (corresponding to a fully-charged 6 volt battery). 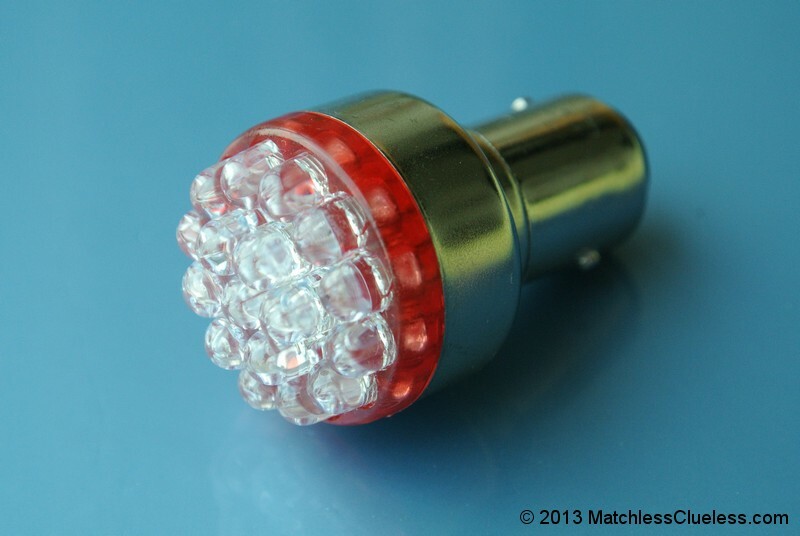 If you’re looking for a 6v LED light upgrade for your classic Lucas 529 motorcycle or car rear lamp then this is quite simply the best there is available! It is suitable for all vehicles with a 6 volt electrics and is compatible with both negative and positive earth systems (it features internal circuit to automatically adapt to the motorcycle’s polarity). In terms of power consumption, the red LED light consumes only 0.38 watts when the tail light is on and 1.46 watts when the brakes are applied (0.34 and 1.42 watts respectively for the white LED version). Compare this with the 5 and 21 watt power draw from a standard 21/5W filament bulb and you’ll see that it consumes only a tiny fraction of the power. This makes it ideal for installing on classic vehicles (particularly those with dynamos) where the charging system needs a helping hand to keep the battery fully-charged. It is also a great way to free up some power to upgrade the headlamp to a higher wattage model for better illumination of the road ahead. 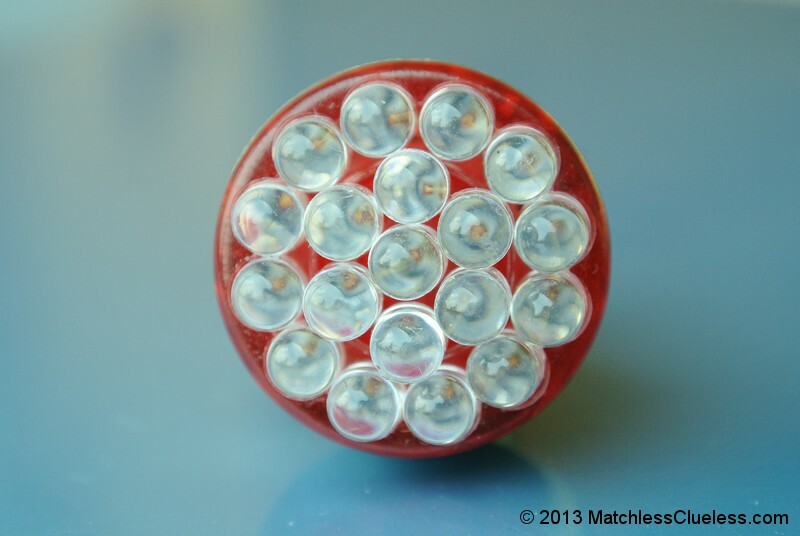 LED lights for 6 volt applications are few and far between and this LED unit is by far and away the best we have found, at least until our custom 6v Lucas 529 LED lighting board becomes available! So there aren’t any other 6 volt options at the moment. If you’re motorcycle has a 12 volt electrical system then there are some alternatives for you to take a look at. The best of these (and we think the best currently available anywhere!) 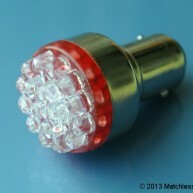 is our 12v super intensity LED stop and tail light. 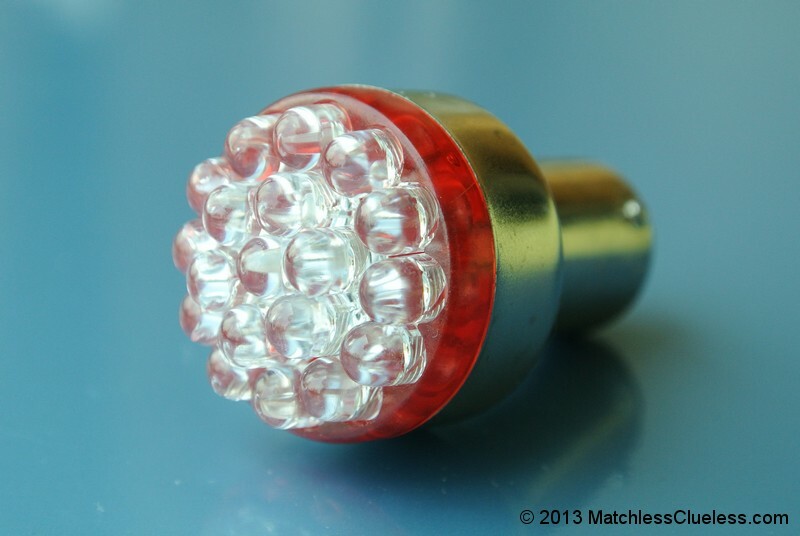 This features a total of 36 warm white LEDs enclosed in a glass globe and closely resembles a conventional tail light bulb in both looks and performance, except that it consumes only a tiny fraction of the power.